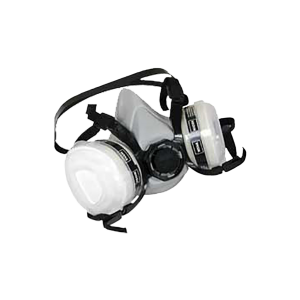 A premium quality respirator that filters particulates and odors. Soft rubber contours to your face, and is the most comfortable mask available. Comes with both charcoal and cloth filters. No cleaning, just discard after approximately 40 hours of use.